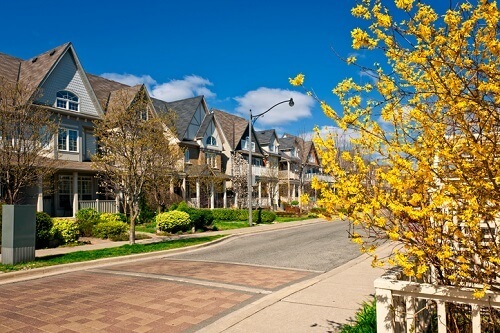 Home sales in the Greater Toronto Area started 2018 with the expected drop from the record high of a year earlier. There were 4,019 sales through the MLS system of the Toronto Real Estate Board, down 22% from January 2017 (5,155). Listings increased more than 17% to 8,585, but this is the second lowest for the month in the last 10 years. TREB president Tim Syrianos wasn’t surprised by the drop in sales and says that things are forecast to improve. “As we move through the year, expect the pace of home sales to pick up, as the psychological impact of the Fair Housing Plan starts to wane and home buyers find their footing relative to the new OSFI-mandated stress test for mortgage approvals through federally regulated lenders,” he said. Despite the lower sales and greater supply, there was a 5.2% rise in the benchmark price as condos saw double-digit price gains while the single-family sector was essentially flat. The average selling price was down to $736,783 (4.1%) though due to the weaker detached market. “It is not surprising that home prices in some market segments were flat to down in January compared to last year. At this time last year, we were in the midst of a housing price spike driven by exceptionally low inventory in the marketplace. It is likely that market conditions will support a return to positive price growth for many home types in the second half of 2018. The condominium apartment segment will be the driver of this price growth,” said Jason Mercer, TREB’s Director of Market Analysis.